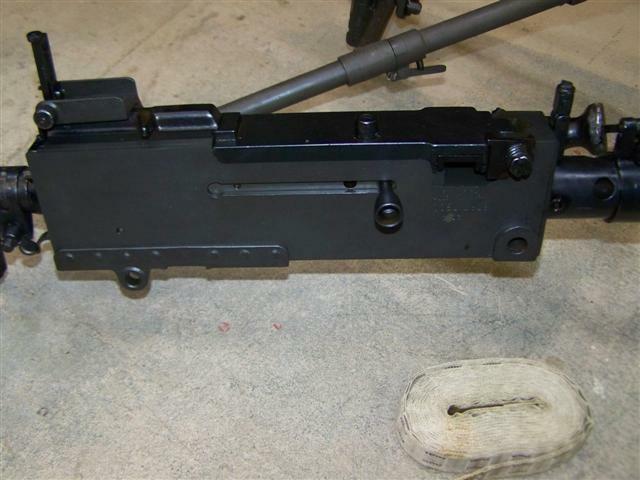 Photo: sideplate | M1919A6 Browning Machine Gun album | ptrthgr8 | Fotki.com, photo and video sharing made easy. From the seller, armsandequipment.com: Built on a Urich sideplate. Comes W/ tripod and T&E, 1 cloth belt and field manuals, all USGI parts. One owner gun since 1987 and stored for the last 20 years. Everything is in excellent condition and runs without problems. All the A6 parts are blued along with the topcover and stock. Set up in 30-06 cal.